Another chance for 50% off all Ruhlman products! We wanted to give you another opportunity to purchase holiday gifts for your friends and family! So we’re making all the tools from shop.ruhlman.com 50% off for ONE more day. Be sure to enter the promo code JOY into the designated field. Mac and Michael made these tools to make cooking easier and more fun. My mom loves using them and brags about them constantly. Most recently my friend Tricia Keels of No Chefs Allowed used the Spanker on air with Fox 28 in Columbus, Ohio, to make her Beer Cheese Soup. As you all know, the tools began with the simple offset spoon, Michael’s favorite. Great for basting and skimming as it dips naturally into the pan. The offsetness let to offset soup spoons that won’t slide into the soup! And then the big offset serving spoon. I use the flat-edged wooden paddles all the time. 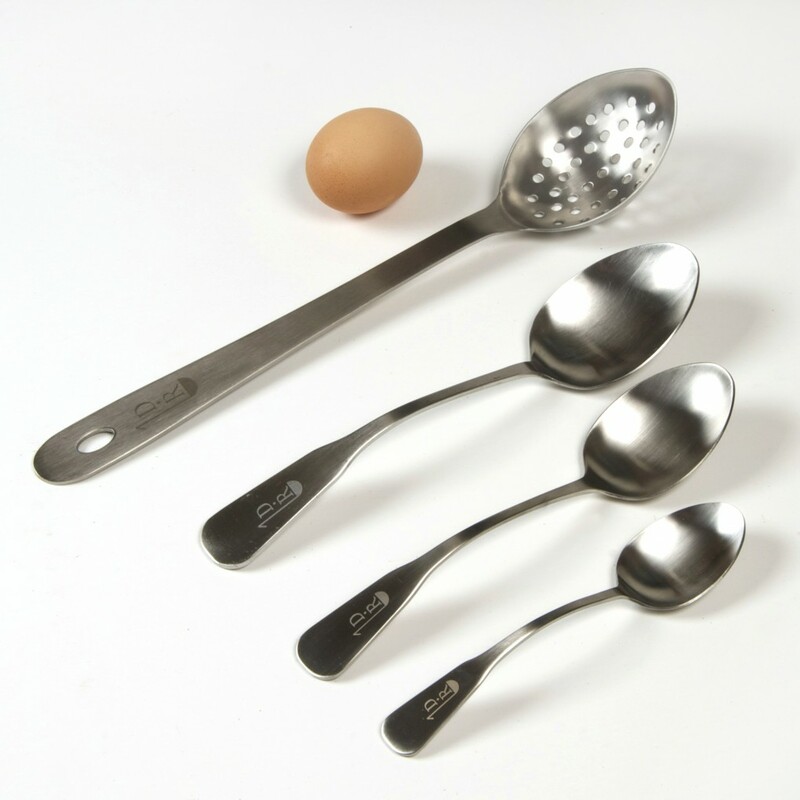 I’d say the best deal is the Kitchen Tool Bundle—you get the spoons, the paddles, and the Badass Perforated (aka Egg) Spoon. Add in the All-Strain Cloths and you have a great kitchen tool set. Deal ends tonight at midnight EST. Ends Friday, December 12 at 12am EST. I’m so very disappointed that you don’t ship to Canada. I would really like a perferated spoon. I can not find the price ? thank you. I LOVE the Egg Spoon – it would not be Sunday morning without it. Great present = your egg cookbook and the Egg spoon. I appreciate the quality of your products and just ordered the two spanks…..this discount made it possible. Thank you. To ease my mind about something that’s been bugging me and has kept me from ordering your products in the past, I chose not to perceive it as a product discount (totally worth every penny), but as a break on the serious shipping/handling costs, My least expensive shipping option cost just less than the cost of my and seems seriously out-of-whack, but maybe I don’t understand the whole story. I’m so sad…..my computer hacked, canceled debit card and will miss the sale! BooHoo.